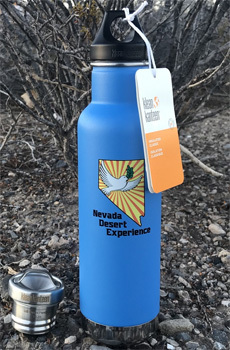 Klean Kanteen stainless steel insulated 20 oz. bottle. Keeps cold stuff cold for 24-hours and hots hot for 12-hours. 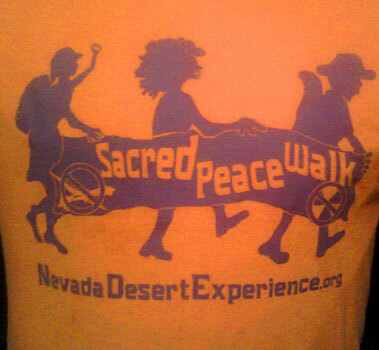 Stand up for Peace in these purple on orange T-Shirts of NDE's Annual Pilgrimage. 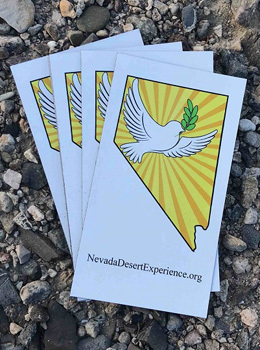 Walking the Ways of Peace CD features seven songs that might just get your friends motivated to join the movement for nuclear abolition and the end of drone warfare!